Halloween decor isn't just reserved for October anymore. Clothing, jewelry and home stores stock up on ghoulish merchandise year round with skulls, webs and the haunts of nature inspired by the sci-fi underworld. Everything from the cutesie skull throw pillows, an ironic zombie apocalypse tee shirts and fang necklaces only scratch the surface as some decor accents are just as gory as Hollywood intended. Thanks to the countless hit television/movies craze ignited by Shaun of the Dead, Twilight, True Blood, Arrow, etc the more exposure we have to the undead, the longer this trend will survive. 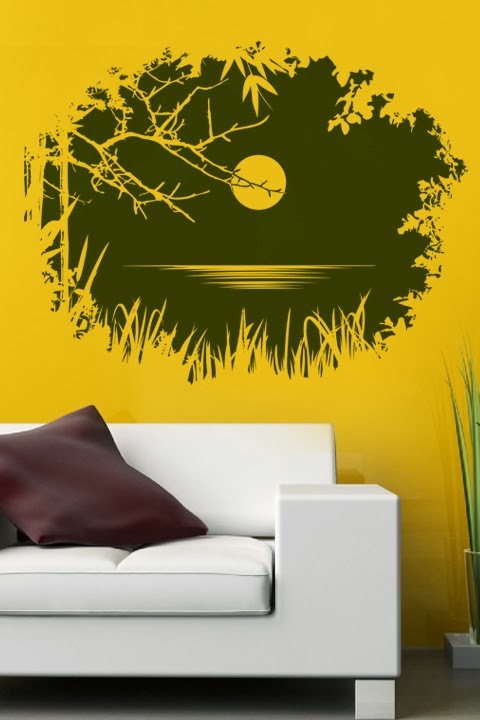 We design our creepy and edgy Wall Decals with all 365 days in mind. Installing any one of the Halloween designs are relevant year round and will be a noteworthy addition to your decor. 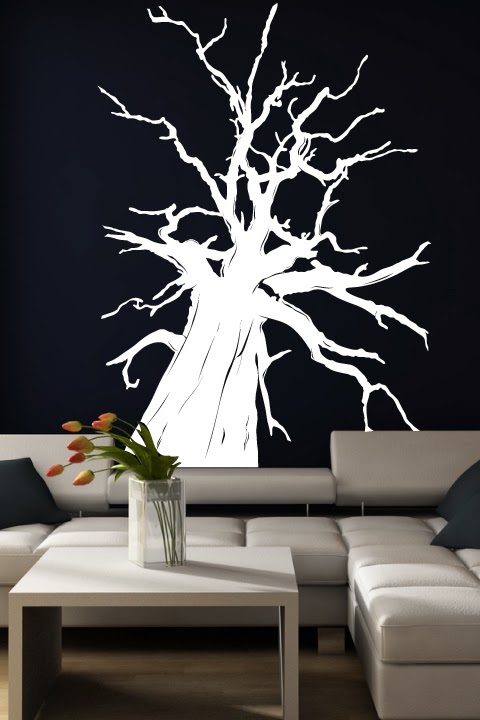 Giant Tree Wall Decal has an eerie dry branch look that towers over giving an interesting perspective to a room. Shown in color white installed on a black wall for drama and impact. 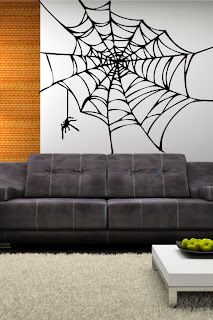 Spider Web Wall Decal can be installed wall to wall or from a corner to a furniture piece. Anchoring the webs ends helps enhance the realistic look of a spiders actual construction method in nature. 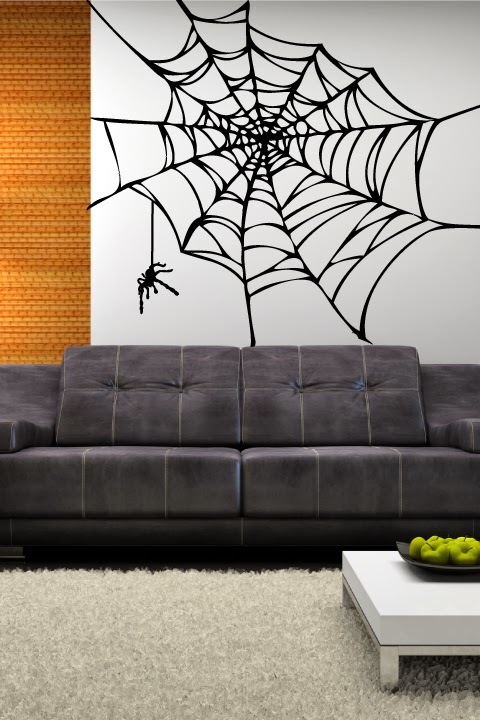 The spider comes separately with the design so you can choose to leave it out or position it as desired. 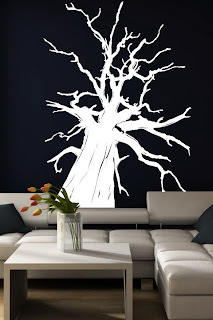 Entry Through Branches Wall Decal creates an illusion of a portal or clearing through your wall. Best selected in a darker color (i.e. Dark Grey, Black, Dark Green, Chocolate) this design will certainly get your guests talking. 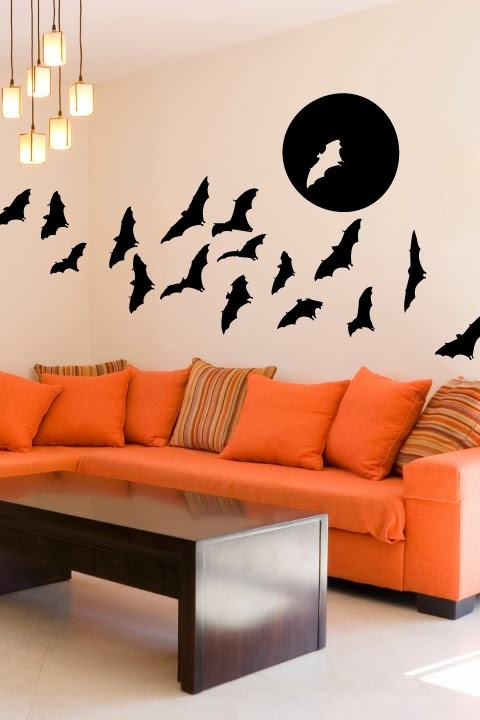 Full Moon Bats Wall Decal includes 17 bats and a moon that can all be individually positioned to best fit your wall space. Each bat is unique in flight position and intricately cut to resemble their pointy snout, ears and claws. 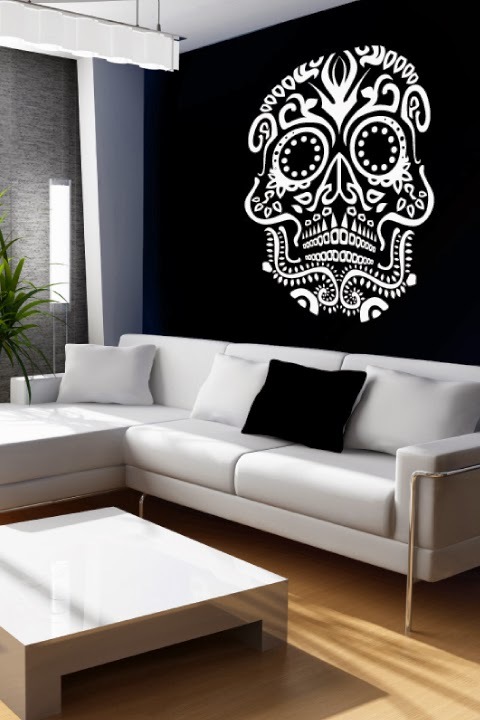 Skull Wall Decals depict the Day of the Dead carvings and paintings that derived from Mexico more than 500 years ago. Just like All Hallows Eve celebrates spirits crossing over from death back into life, the Day of the Dead is a celebration of those who we have lost and wish to remember. 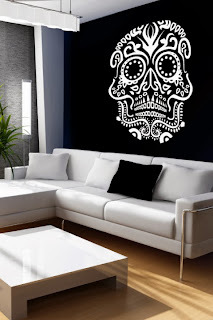 Like this more artful skull design, all of our 550+ decal designs available on the website are suitable for all months of the year and can be customized from our 36 colors, 5 sizes and an orientation option.